Our stamping plants benefit from a broad knowledge in forming technology and in the processing of aluminum, steel and stainless steel. There are used both transfer tools and progressive tools. The delivery to the automotive industry happens exclusively with the pressed parts from the cold forming. We use a plate thickness ranging from 0.4 up to 4 mm. 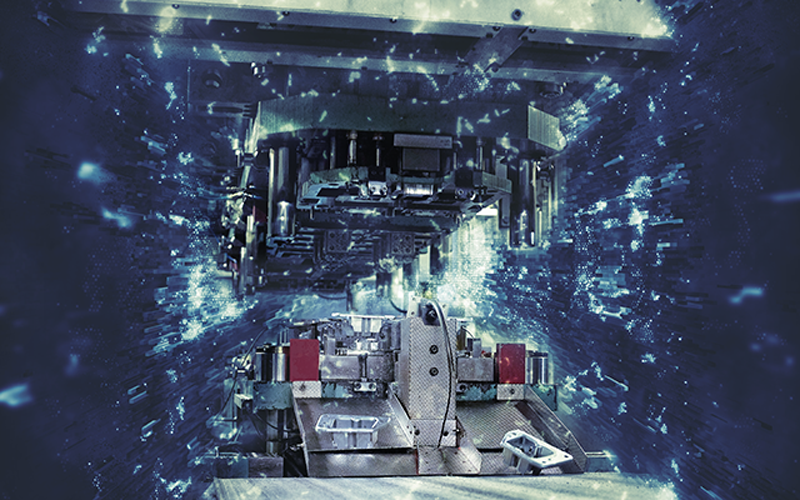 We work with the latest link motion and servo-transfer presses with a press force between 2,000 and 16,000 kN and up to 6,000 mm table size. We also have the possibility to produce larger components with our processing line. The delivery is made by a coil- or blank loader.